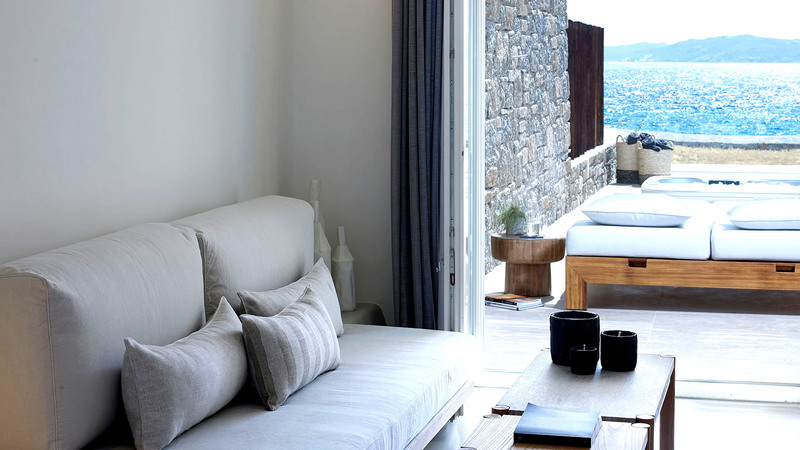 Designed with discerning travelers in mind, the Deluxe Coast Suites on the ground floor of Bill & Coo Coast feature an open plan living area with a spacious bedroom and a variety of luxurious comforts and conveniences that guarantee a holiday in Mykonos beyond imaginable. 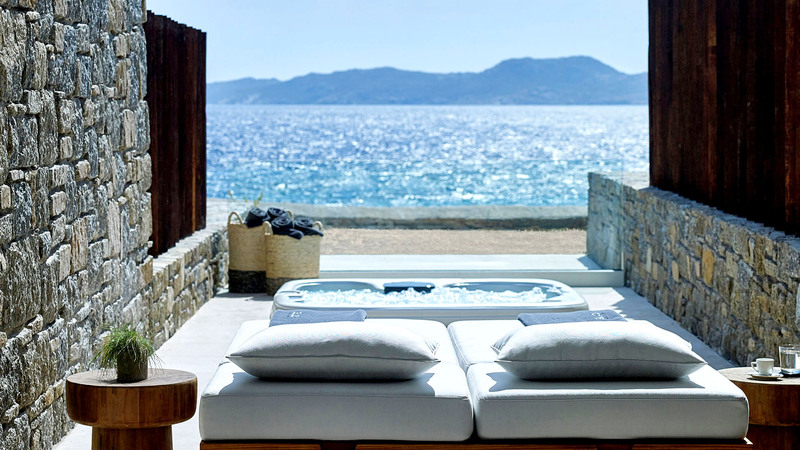 Mere steps from the beach, these inviting suites offer exceptional island-style luxury, a private Jacuzzi and sunbathing deck and the enchanting views of sun, sea and sky. That may sound like a dream, but it’s just what guests of Bill & Coo Coast hotel will wake up to every day of their stay. 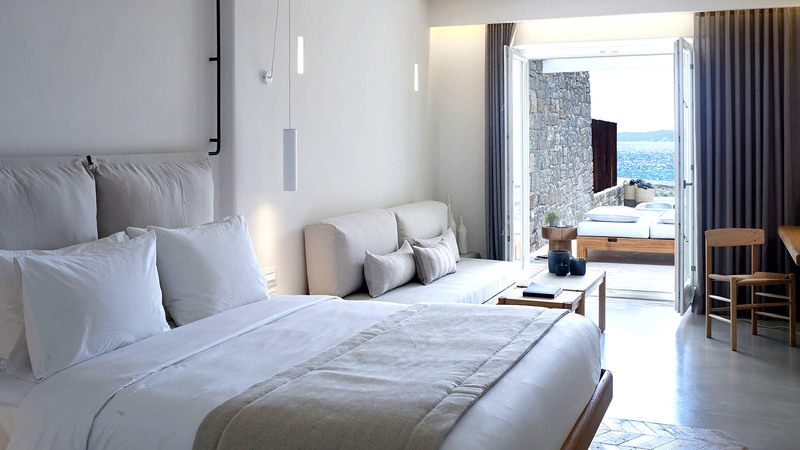 Everything along the premise of the suite has been designed to bring the outside in.